Monday night in a bar near Silicon Roundabout: the craft beers were flowing, cups of hipster hazelnuts and popcorn were being passed around the cool crowd but this was an unusual gathering in one sense: it was an evening of EU referendum talk. There wasn’t a grey man in a grey suit in sight. Almost everyone in the room was under 40, in sneakers, and checking their tweet streams frequently. This was a meeting for We Are Europe, a project that came together by accident when a group of friends working in tech and sustainability suddenly realised that, although they felt strongly about the EU referendum, their voices weren’t in the debate. With of a crank of the social media engines — a Facebook page, a Twitter handle and Instagram account — they were off. 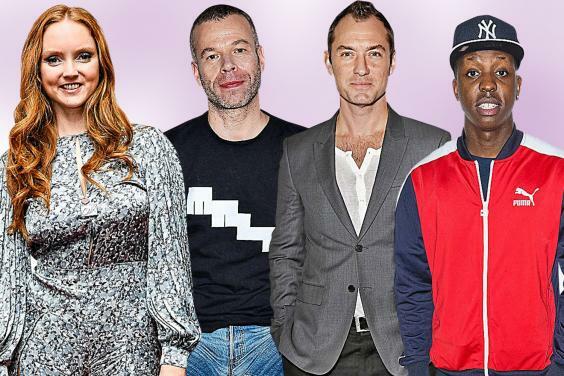 Models Lily Cole, digital entrepreneur Jamal Edwards and actor Jude Law signed up, and with some help from designers and amateur video-makers and acoustic guitar soundtracks for their Facebook videos, a new wing of the In campaign had started. Designer Irene Palacio produced a cardboard stencil, and Harris, along with Harriet Kingaby, both of whom are consultants on branding and social campaigns, photographed friends and random people in the street holding the “In For” sign and asked them to write down their reason for supporting the campaign. Crucially the answers given were not along the lines of “because George Osborne says I will be better off” or “national security”. They were more emotional: because of European friends, the freedom to travel, a sense of being part of a more connected world. There’s a key stat in all this: if you are over 40 you are more likely to vote Leave, and you are more likely to vote, full stop. Though the polls are saying that Remain has the edge, the result will hinge on turnout. That is not to say that some politicians haven’t understood the need to engage people at a different level. Last week Gordon Brown, giving a speech hosted by the Centre for European Reform, urged his audience of economists and financiers to make the arguments for a “passionate, principled and patriotic” Remain vote. Admittedly his messengers may not have been the hottest on Twitter. However, it would be wrong to think that the Brexiteers haven’t themselves spotted social media’s value. Within weeks of launching, We Are Europe’s social media channels have been targeted by the Outers haranguing them with reasons for why it is time to get out of Europe. “On Twitter we are getting a lot of trolls or people getting a bit angsty,” says Harris. But their drive to smoke out the shy-Remainers does seem to be working. “We’ve also had a lot of Remain supporters joining us. We all have to start stepping up,” she adds. “If you feel it in your gut, you don’t have to get into arguments but you do have to get positive and say it.” And the place to have your voice heard is online.